Bei allen unseren Seminaren ist dieses Buch im Seminarpreis bereits enthalten! Nur wenn Sie das Buch über uns bestellen, können wir Ihnen den Preis anrechnen, wenn Sie später ein Seminar bei uns buchen! From the author of the best-selling RYA Navigation Handbook, Tim Bartlett details everything that sailors need to know about using VHF radios to contact coast guards and other boats. In its detailed look at VHF radio it links the easy-to-follow text to the syllabus to give you all you need to know to pass the VHF Operator’s Short Range Certificate examination. The clear instruction and colourful illustrations make this complicated yet highly important subject much clearer and will help you learn the call procedures. 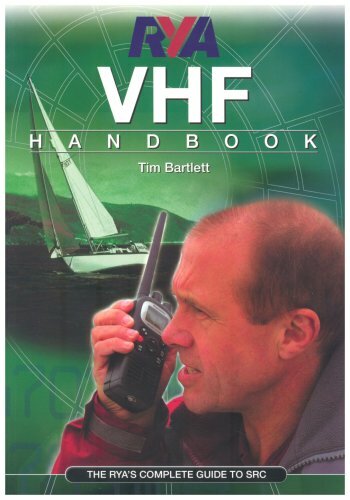 This is an essential learning tool and ideal background reading for anyone taking a VHF course.